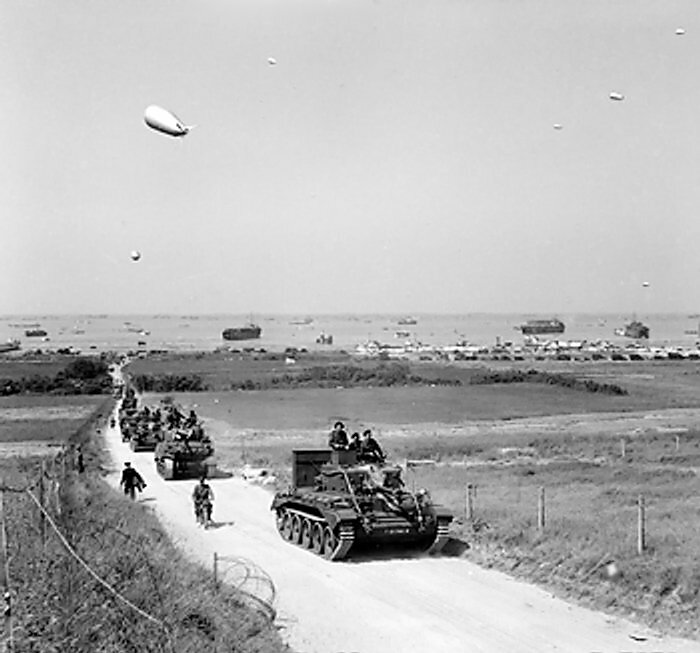 GOLD BEACH sector was assigned to the 50th Infantry Division of the British 2nd Army. The objectives on D-Day were to capture the small seaside town of Arromanches where the artificial "Mulberry" harbor was to be built, as well as to seize the road junction at Bayeux about 7 miles inland. Contact was also to be established with the Americans on their right and Canadians on their left flanks. 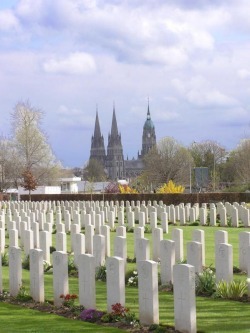 Even if in some places the initial German opposition was fierce, the British soldiers were able to break through and reached almost all their objectives on D-Day. This success was partly due to the new tanks designed by the 79th British Armoured Division, known as the "Funnies" from their comical appearance. These worked particularly well on Gold Beach, however, where they were instrumental in reducing the German beach defenses. The Mulberry B : the British artificial harbor in Arromanches. The Allies had learned the hard way at Dieppe in August of 1942 that a head-on attack against a heavily defended port was likely to fail. Something else would have to be devised for landing men and supplies following the initial landings on D-Day. 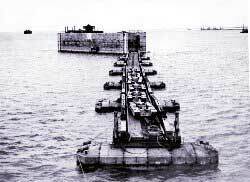 To this end two prefabricated harbors, one for Omaha Beach and the other for Gold Beach, were built in England and towed across the English Channel on the heels of the first landings. Each consisted of hundereds of different elements, the main pieces being massive reinforced concrete caissons, breakwaters, a floating roadway and piers. Block ships were also to be sunk off the Norman coast to create extra protection from the open sea. 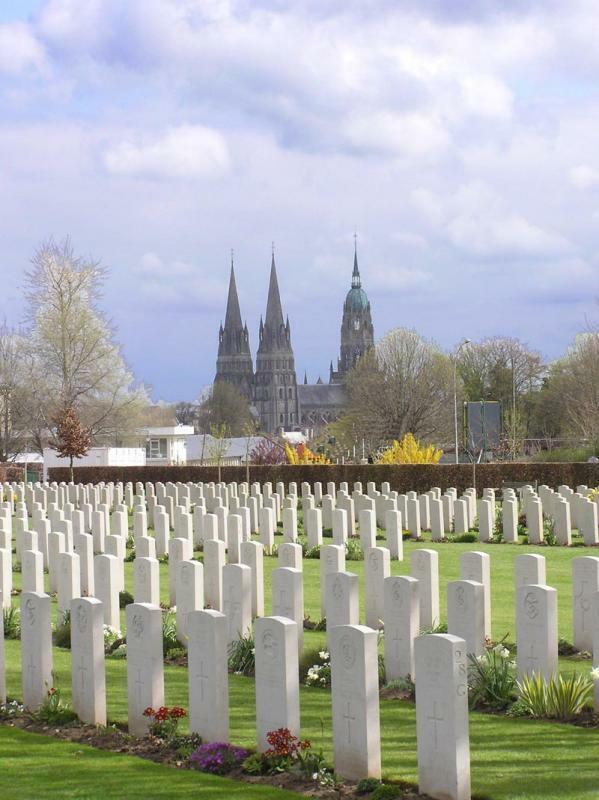 Nowadays, the Commonwealth war cemeteries invite us to spend time there for meditation and remembrance and you can be taken to see any of the 18 Commonwealth cemeteries in Normandy.